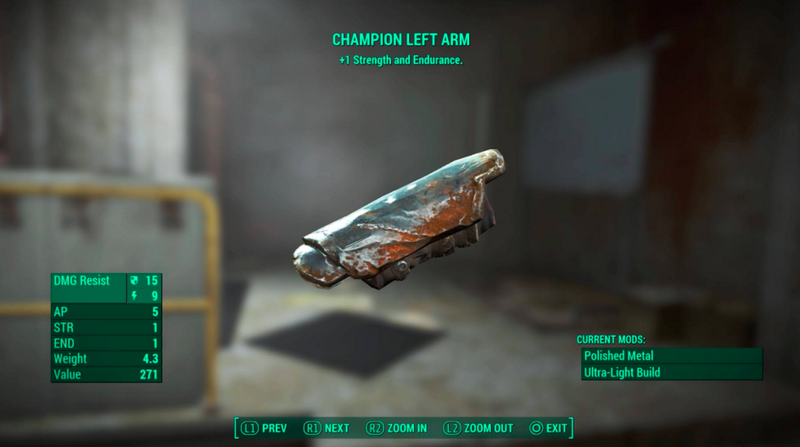 Everything you need to know to wrap your head around Fallout 4's armour mechanics. While the UI for armour is typically awful, what you care about are the three numbers next to the word "DMG Resist." In order: the shield means "Damage Resistance," which is exactly what it sounds like. The more you have, the more damage you resist, be it ballistics or melee or what have you. If you want to read the nitty gritty numbers involved with that, you can go here. Next up is the lightning bolt icon, which denotes "Energy Resistance." That's your defence against energy weapons, plasma weapons, and flaming weapons, basically. Then you've got the hazard symbol, which denotes "Radiation Resistance." Typically that means environmental hazards, such as the damage you suffer when you're too close to an atomic waste barrel, but some enemies, such as Ghouls, can hit you with rads too. And finally, some gear will even have some kind of Poison Resistance, denoted by a little water droplet icon. This is rarer, as far as armour goes, and for the most part you're going to be considering the stats involved with DR, ER, and RR. Leather armour, while not very protective, looks nice and allows you to travel light. You can often find it on Raiders, and it's not very difficult to complete a set. Metal armour grants you good Damage Resistance, but it's also kind of heavy. Raider armour...isn't very good. That's why it looks like garbage. You shouldn't wear it, unless you really want to I guess! Synth armour is great for Energy Resistance, and offers decent Damage Resistance. Obviously, Synths drop this. Getting a full set of Combat Armour might take a while, so you'll probably have to wear different pieces from different sets as you find them/play the game. Finding the right gear is only a part of the process. You need to build your character in the right way, too. For this, you'll want to put at least 3 SPECIAL points into Strength. This will unlock the "Armorer" perk. The more points you put into this, the better. More Armorer means better options to modify your gear at an Armour Workbench, and so you can't get good armour without this specification. Maxing this out will take a while, of course: Armorer rank 4 is unlocked at level 39. See those three plusses next to the numbers 23 and 10? Plusses means it's better than what you're wearing. You want plusses. If a piece of armour doesn't have a plus, then it's likely not worth your time. You don't have to do the mental maths to figure out what all your individual pieces of armour amount to. Instead of looking at pieces individually, take a look at the overall Damage Resistance number on the bottom right corner. The higher your numbers there, the better. There's an exception to that, of course. It's worth picking up something that's a little worse in the Damage Resistance department if it grants you, say, an extra SPECIAL point, or if it does something cool like slow down time. Sometimes, average attire will give you these kinds of additional bonuses. But what you really want is Legendary gear. That arm guard in the image above, for example? That's Legendary. You can tell because, when you highlight it in your inventory, it has a little star next to its name. One of the "basics" isn't covered the role of "outfits" (which seem to replace everything you're wearing) and of items like the Vault Suit which fit under armour. However, some outfits seem to supplant the skintight items like the Vault suit. 1. Skintight items like the vault suit and certain raider leathers. 2. "Regular" armour; some regular armour uses multiple slots. 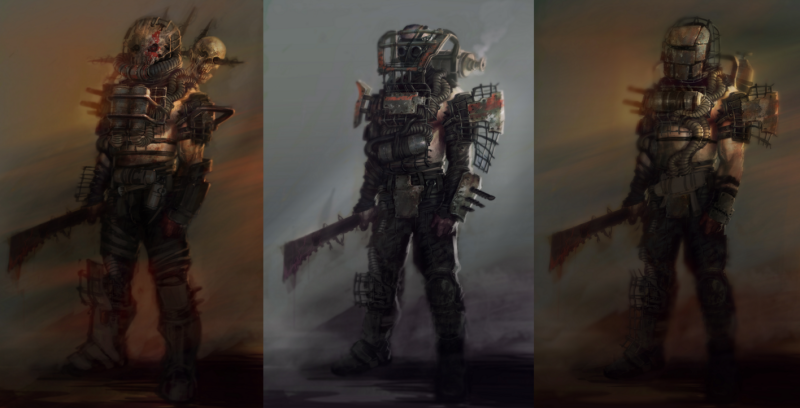 Mainly the items that use multiple clots are head gear (like the gas mask) and "outfits" which use all body slots, such as the Silver Shroud suit or the hazmat suit. Maybe this is too basic to be covered in "armour basics"? Although it's not always clear when a piece of "regular" armour will remove your skintight suit. The way i apply armour is to put on the individual pieces i want to wear then apply the item that goes underneath, when you select individual parts the vault boy flashes the affected part of the body, so i can tell if an outfit will remove my additional parts. 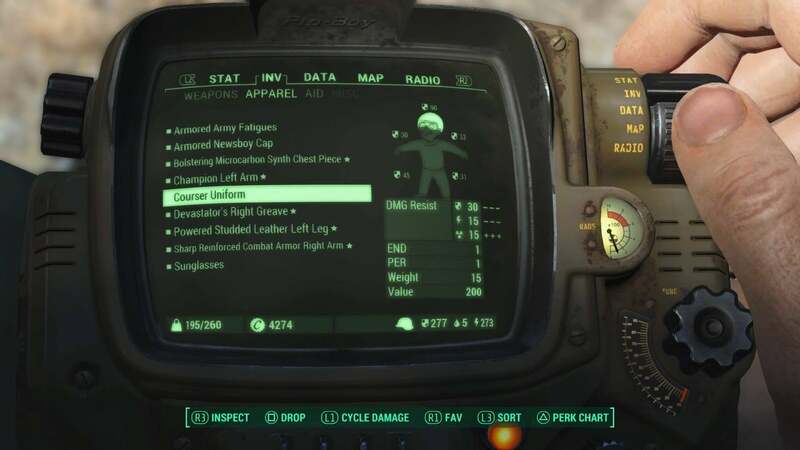 Items to be worn underneath armour parts doesn't cause the vault boy to flash. 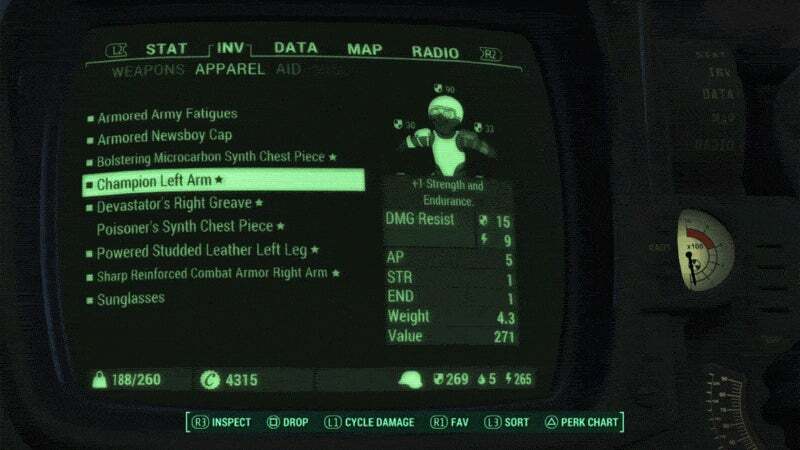 As an example, i dont see a valid reason for the minutemen general outfit to be incompatible with leg or arm pieces. Especially seeing as we have been given a massive range of customization, and are then limited with stacking armour. Let me take a stab at explaining it. Armor covers 8 distinct locations on the body: head, eyes, face, torso, left / right arm, left / right leg. 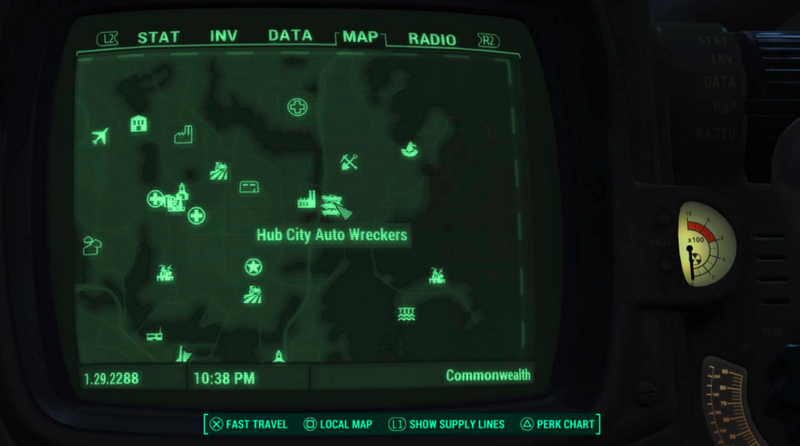 The locations covered by each item of armor vary, but are always shown on the vault boy character to the left of the armor list in the inventory, flashing parts indicate which locations the item covers. 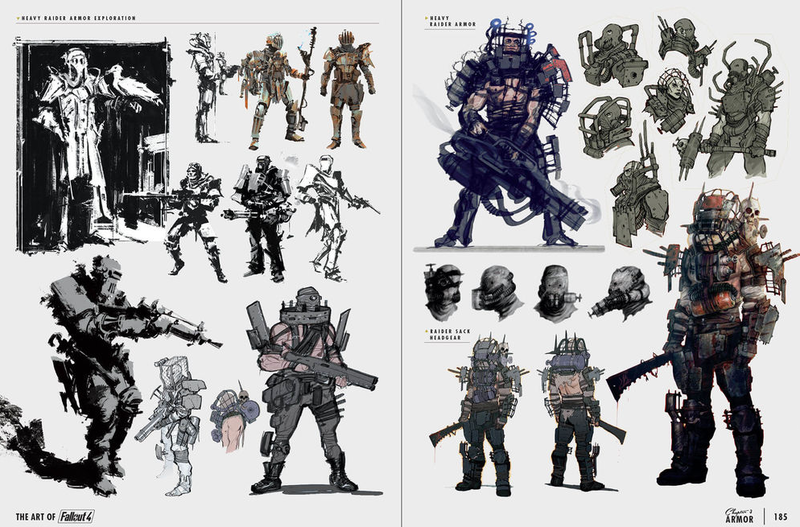 2) Outfits: Silver Shroud trench coat, Casual Wear, Tuxedo etc - These usually occupy all armor locations of Torso, Arms, Legs, preventing the wearing of additional Armor pieces over the top. There are exceptions, some outfits only occupy Torso or Torso/Arms etc and you can wear Armor pieces in the open slots. There is a way in the game to craft resistance mods for Outfits, so they are not all as "useless" as they seem. 3) Armor: Individual pieces that cover a single location. Head, Torso, Arms, Legs etc. These can be mixed and matched from the lists in the article. Generally a good idea to try and get legendary bits that provide something useful to you. Eg stat bonuses, sneak bonuses, percentage reduced damage taken etc. 4) Cosmetic items: Sunglasses, Bandanna, Gas Masks etc.. generally just cosmetic for looks, but some have stat bonuses (+1 perception etc) and some have resistances. 5) Power Armor: a powered exoskeleton that you can get in and move around. Goes over the top of all the stuff you are wearing from categories 1 - 4. Huge resistances, but can be damaged (lowering/removing resistances) and needs Fusion Cores to power it. You can still use it without a Fusion Core, but you can't sprint etc when in this state. Oops, forgot to mention: Under Armor and Outfits are exclusive of each other. You can wear one or the other, but not both at the same time. Yeah I have gripes with this - found myself messing about with different combinations just seeing what clothing would work underneath armour and what wouldnt! If you highlight the item in question, then the corresponding bits on the pip boy diagram will flash. So if you highlight the silver shroud costume, the chest, arms and legs flash, showing that all gear currently on those slots will be swapped out. Heavy combat armor isn't the best non specialized armor, heavy synth armor has the higher ballistic rating and higher energy rating than heavy combat armor making it superior, however legendary traits should always be sought after. Also no mention of ballistic weave? I wish I knew about it earlier. Probably worth mentioning that while in power armour your worn items don't count for anything, including stat bonuses...so those legendary items you're wearing count for nothing if (like me) you spend a tonne of time in power armour. It's worth saying over and over; armor drops comes with their OWN REUSABLE MODS. Putting points in mod perks is like getting more directed (not necessarily better if you're stealth based) drops earlier.